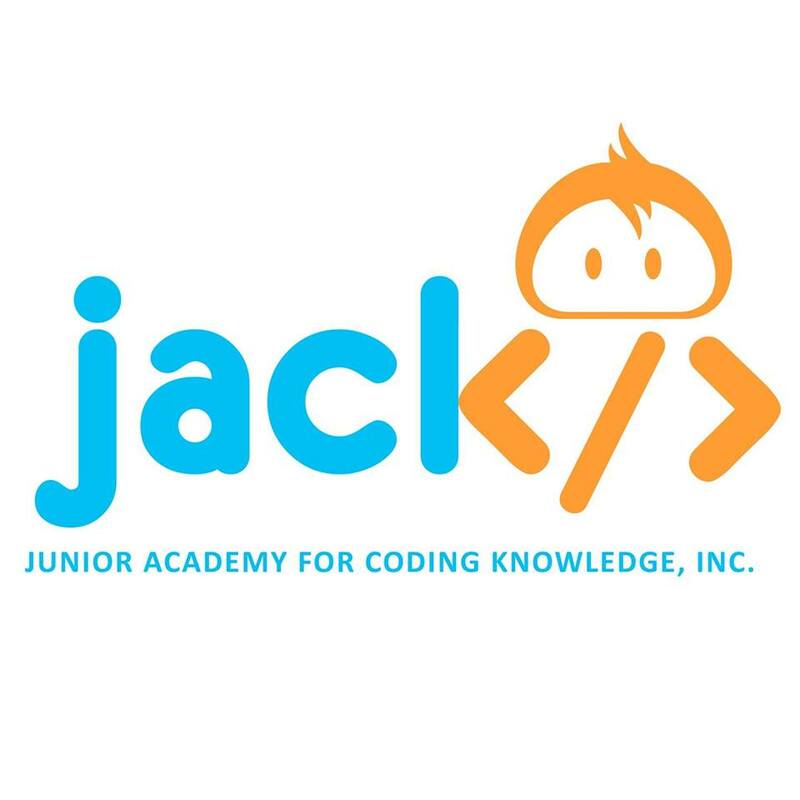 The Junior Academy for Coding Knowledge, Inc. (JACK) is the first of its kind in the Philippines. In an age where technology particularly in Information Technology is at the forefront of economic, academic and even social development, coding literacy has become a must for those who are growing up in in this dynamic environment. Extensive hands-on training is the key for JACK in molding the coding literacy skills of the youth. This is done in a child-friendly environment where lessons are fun challenges for the children in pursuit of I.T. knowledge and skills. Games, apps, droids, robots and even iPads are the tools utilized so as to carefully comprehend and make code part of the language of the children. This makes them more proficient in interfacing with technology, creation and development of useful applications and overall awareness of the latest technology and innovations. This is done in such a way that will enhance problem-solving skills and structured analytical thinking that also is needed in dealing with day to day living. It is true that there are already bootcamps in the country more so abroad, JACK uses the best practices they have observed and also developed techniques that is custom-made for Philippine conditions. “We realized that the Philippines is lagging behind its Asean counterparts in terms of coding knowledge and awareness. We hope to bridge that gap by giving our children an avenue where they can become fluent in technology,” says Rose A. Saulog, one of the founders of JACK. Saulog adds: “Coming from a family of techies, with a sister who is more of an academician, we have always been interested in technology education. When we heard of the continuous development of coding schools in the US, Singapore and Hong Kong, we decided to look into it and see how we may bring this kind of education in the Philippines. There are five different classes for the students to learn how to code as they develop apps using various tools. The Scratch: Welcome to the World of Coding class teaches the fundamentals of coding. A programming platform developed by Massachusetts Institute of Technology, Scratch allows students to create interactive stories, animations and games, giving them a better appreciation of coding. In A Taste of Game Salad, students can design, execute and publish a game on the App Store and Play Store. Aside from creating interactive projects, animations and games, students can also learn how to build a website in the Create Track. The Internet: The Exciting World of Web Development course equips students with web development skills, as they design, develop and publish their own website. On the other hand, the Minecraft: Code and Mod course allows students to create their own Minecraft Game. Students learn how to build and design their game character and environment, and even animate elements through coding. Play and Learn with STEM Track allows students to use coding to make machines come alive. In fun classes like Program, Practice and Play with BB8 Droid and Code to Fly with Drones, BB8-Droids and Parrot Drones are programmed to follow rules, avoid obstructions and execute maneuvers. Tinker Track Courses are perfect for budding engineers. The Light Up: Coding, Circuitry and Augmented Reality class teaches the core concepts of coding, circuitry and engineering, as students snap magnetic blocks to build circuits. The Engineer: Coding and Robotics course is where students learn coding by programming microcontrollers, servomotors and smart sensors to make the lego bricks come to life. For more information: Call 0977-8410482; visit jack.com.ph.